“Mushroom Guide” There are at this moment, more than ten thousand types of mushrooms known to man. That’s a lot isn’t it? But you might be shocked to know that this is only a fraction of the total types of mushrooms out there on the planet. Don’t take it from me; take it from the mycologists who back this fact up. Simply put, we can categorize all the known mushrooms into 4 broad categories. There is the saprotrophic, the mycorrhizal, the parasitic, and the endophytic. •	Morels – Very delicious and popular amongst mushroom collectors. •	Shiitake – Greatly known for its medicinal properties and taste. •	Reishi – A very famous mushroom in Chinese history of medicines. 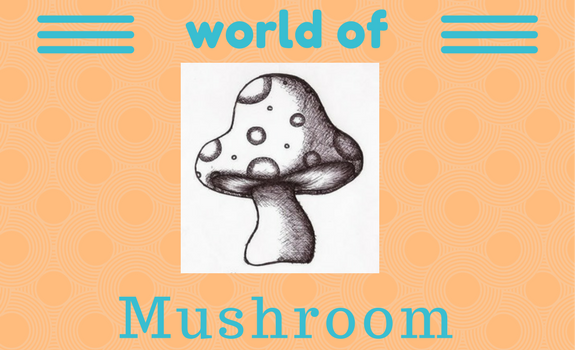 •	Cremini – A huge name in the edible mushroom scenario, especially in America. •	White button – Yet another popular and also extremely common variety of the edible fungi. •	Maitake – Contains anti-tumor properties. It looks like a freaking miniature brain. •	Oyster – Known for its great cholesterol suppressing properties. •	Turkey Tail – A naturally tough variety of mushroom which is only used in teas. •	Giant Puffball – A delicious mushroom only is eaten when young. •	Shaggy Mane – A peculiar mushroom which melts down within a few hours after getting picked up. •	Chicken of the Woods – A variety of mushroom which tastes interestingly to chicken. •	Black Trumpet – Simply, the best-tasting mushroom ever! •	Truffles – Very expensive yet delicious mushrooms. •	Chanterelles – A chef’s favorite and a staple in may recipes. •	Porcini – A very popular variety among gourmet cooks and is used in sauces and soups. •	Caesar’s Mushroom – A very popular variant of mushrooms in Italy. •	Matsutake – a mushroom known for its aroma and flavoring properties. •	Lion’s Mane – This variety of mushrooms has prickly teeth in place of the usual cap that we are used to see on mushrooms. It is, however, edible, and is known to heal nerve damage. •	Chaga – It looks like an ambiguous black mass on the sides of trees. It is a great medicinal mushroom with medicinal properties. •	Caterpillar – this mushroom is a killer one. It preys on the insects! •	Honey Fungus – They grow huge in numbers and form colonies. They are edible as well. So, there you go! “Mushroom guide” The major types of mushrooms there are.